WordPress has proven to be the best premium online solution for building a website. Over the past few years many organizations and associations have flocked to WordPress to build their online presence and their online communication with their audience to increase success. For an association, an internet presence has become the biggest asset for communicating with their members and supporters and connect with them like never before. Showthemes offers the best premium association meeting WordPress themes with all the features needed to manage, organize and promote events. Our themes are specifically designed to meet the needs of associations, organizations, unions, societies and non-profit businesses around the world to promote and manage their events, meetings and conferences. Developed with association meetings in mind, they feature some of the best content creation and event management tools available, with full WordPress support specifically developed for association meetings. Our themes focus on delivering everything an association might expect from a WordPress theme: easy to set up, flexible, easy to maintain, unbeatable accessibility and full support. Below is a set of the Showthemes premium WordPress themes for associations that also provide responsive layouts compatible with all mobile devices. Chose one of our responsive association meeting WordPress themes specifically geared towards associations and organizations – they blend event schedule functionality with ease of promotion and beautiful on-site presentation. Our designs are intuitive, aesthetically pleasing and responsive, providing a user that is also SEO friendly. 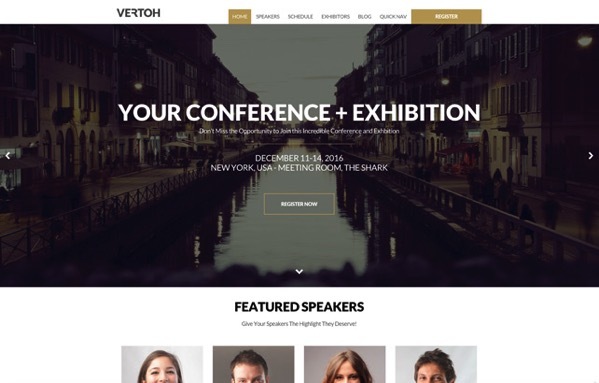 Vertoh is a great WordPress Event Theme for association meetings. Advanced features in a stunning design. Vertoh features 4 header options, WooCommerce integration, calendar scheduling to easily manage your event. Perfect for for Association Meetings, Annual Events, Workshops, Seminars. 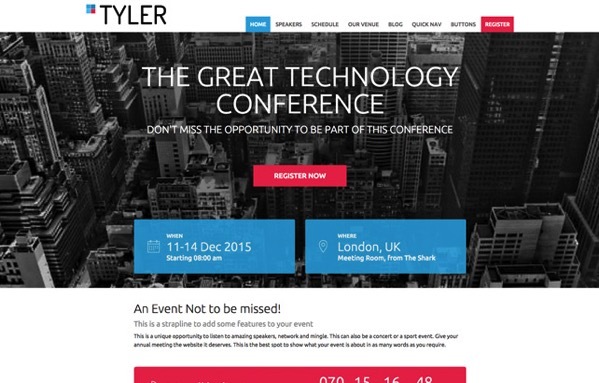 Tyler is a powerful association meeting WordPress theme that offers all the features you need to run events of all sizes. With dedicated speaker profiles and detailed event management pages, Eventbrite and EventEspresso integration, it’s perfect for medium to large annual meeting. Display your event on a single, stylish scrollable page without compromising on functionalities and advanced performer and event management. Perfect for for Meetings, Annual Events, Workshops, Seminars. A responsive event scheduling website template that allows advanced multiple calendar management. 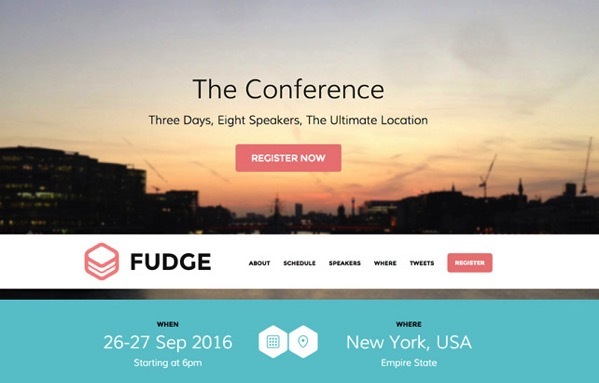 Januas is the perfect event management WordPress theme. All your events and in one single portal so you are in control of every single event management aspect.